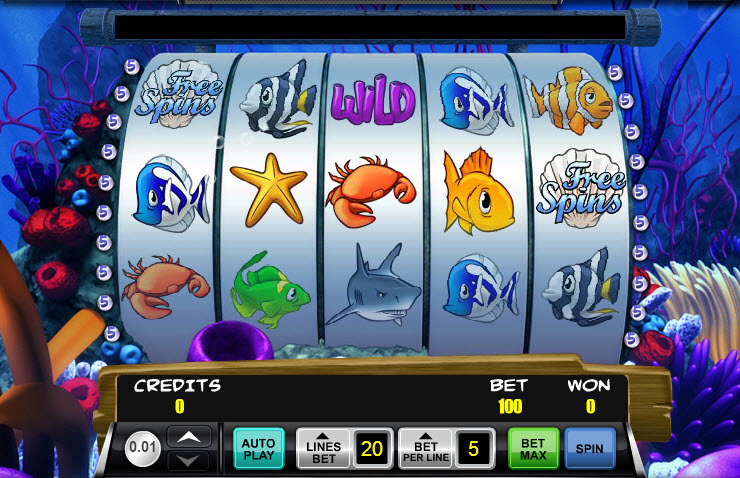 Overview: Coral Cash is a 5-reel, 20-line video slot that allows players to earn sunken treasure under the sea. 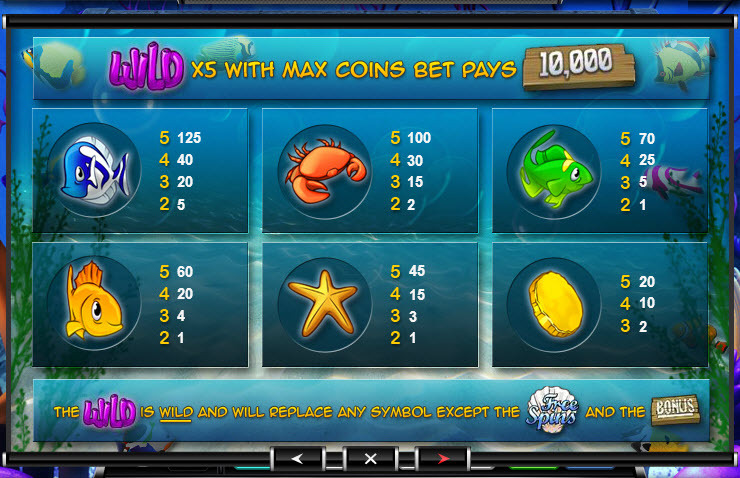 Bet as many as 5 coins per spin, which are valued from 0.01 to 0.25, in search of some winning sea creature combinations. There are lots of ways to build your winnings fast in this game. 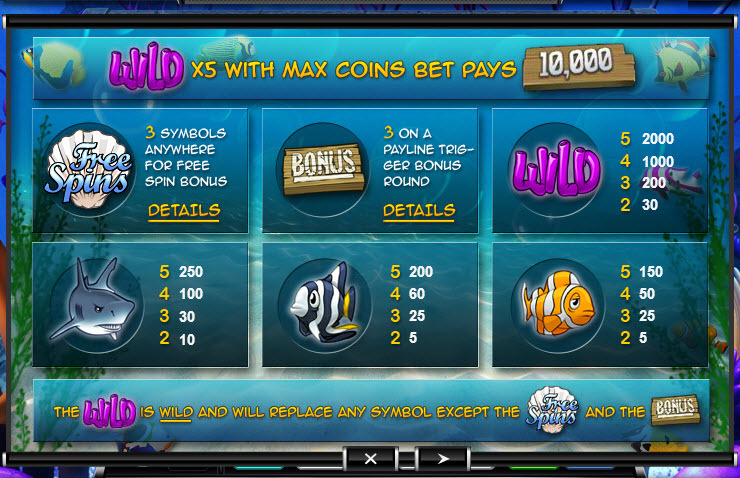 Collect 5 "Wild" symbols on the same pay line while betting the max 5 coins and win 10,000 credits, or find 3 or more "Free Spin Bonus" symbols anywhere on the screen to trigger the Free Spin Bonus round. 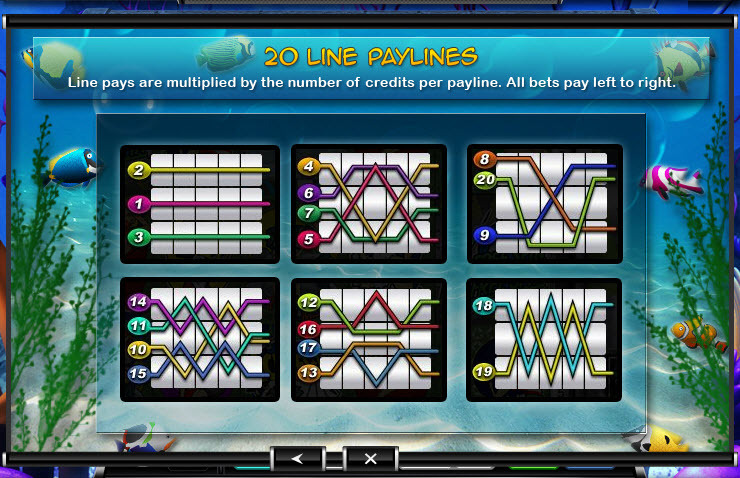 4 "Free Spin Bonus" symbols doubles the initial bet, while 5 symbols multiplies it 4x. Get 10 free spins during the bonus round, with any winnings multiplied 4x. 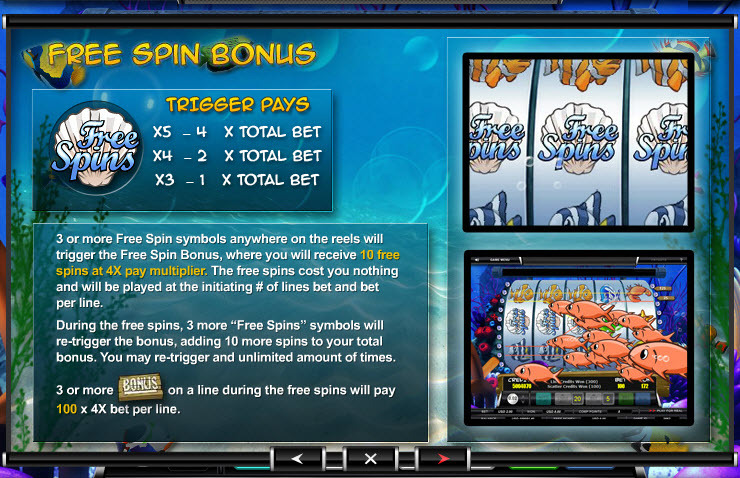 Add 10 more spins by finding 3 or more symbols while playing with the free spins. 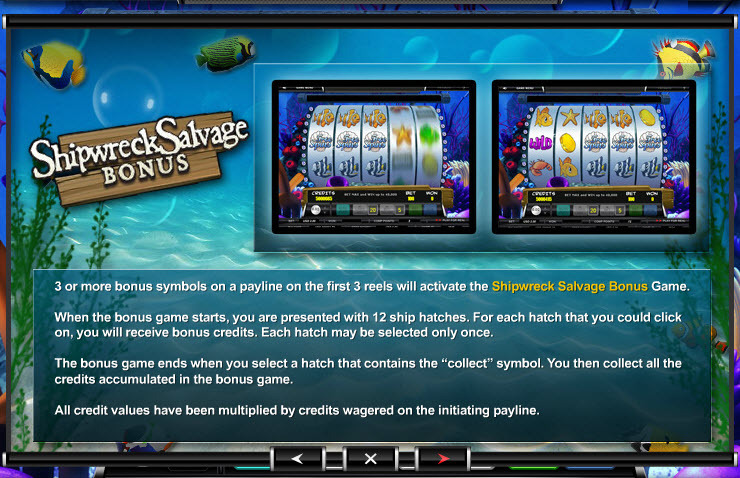 Meanwhile, 3 or more "Bonus" symbols on the same pay line on the first 3 reels will start the Shipwreck Salvage Bonus game. Simply click on one of the 12 hatches and claim their corresponding credit bonuses until the hatch which contains "Collect" is selected. Each hatch can be clicked just once. Similar Slots: If you like Coral Cash, you might like these other slot machines from Ace Gaming: Black Magic, Cleopatra's Bonus, Crazy Coconuts, Fast Lane, Free Spin Saloon.